Who is “All Your Apps”? All Your Apps, in short AYA, is a tiny group of technical interessted mobile addicteds. At the moment we are all studing software engineering at the Technische Hochschule Mittelhessen, Giessen, Germany. At the university and in our sparetime we like to develop Apps for the Android platform. We are already thinking about develop some stuff for iOS as well, but at the moment there is not enough time and money to start such projects. Feel free to discover our apps at the Android Market or take a look at this webpage. Do you have a great idea for an App which does not exist but you are not able to develop it? Feel free to contact us. If we like the idea we may will realize it. Do you want a custom App for your company or for personal purposes? Just write us and we will see if we can do something for you. Yet another Zombie Game is a puzzle game where you have to navigate the zombie to a bomb to kill him. Several items and barriers can make it hard to beat the level. And what makes this game even cooler is that it got ninjas in it … Yeah ninjas. 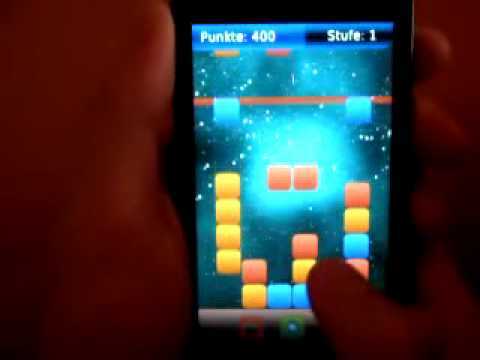 The game is a mixture of Tetris and Bejeweled. The goal of the game is to wipe the fallen blocks to score. You lose if a block is above the red line. Blocks on the ground can be selected/switched vertically, horizontally or diagonally. To wipe blocks select at least 3 blocks, which are side by side, of the same color. If you want to switch two blocks, select two blocks of differnt colors, which are side by side. The mixed block can be combined with all block colors. Please check the video if you don’t get it. It shows some gameplay. Remote Phone Controller has been developed as a university project. It offers features to control various functions of your phone per XMPP (Instant Messaging), SMS or a WebInterface. Only requirement is, that the phone you want to control has an internet connection. Great thing with Remote Phone Controller is that it’s plugin based, so you don’t have one single App which needs many permissions. You can just decide which feature you like and install it as a plugin. Cause we decided to develop new projects instead of bugfixing and improving Remote Phone Controller, it is not public available any more. Leave a comment if you think, that we should start working on it again.